ABU DHABI – Etihad Airways and Abu Dhabi Waste Management Center (Tadweer) are set to collaborate on a landmark research project to explore how municipal waste can be converted into jet fuel. 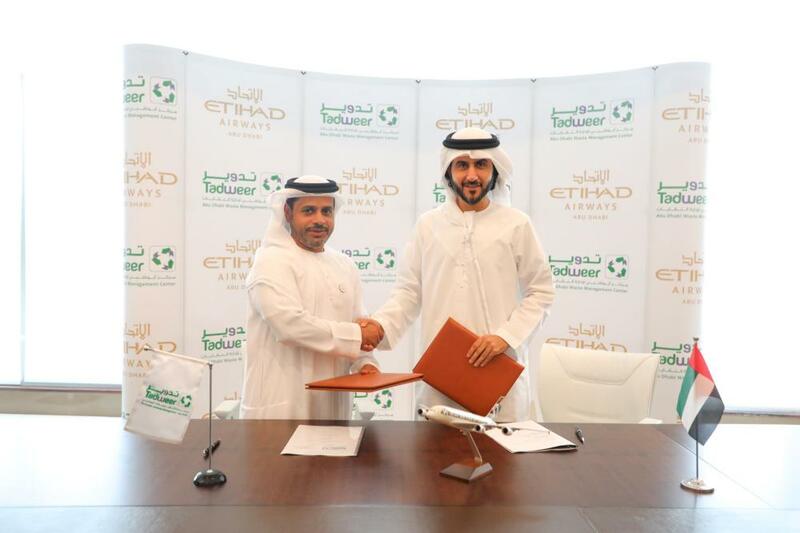 Etihad and Tadweer signed a Memorandum of Understanding (MoU) at Etihad’s headquarters. The MoU mandates the two entities to undertake an initial feasibility study toward developing a flagship waste-to-fuel facility in Abu Dhabi.